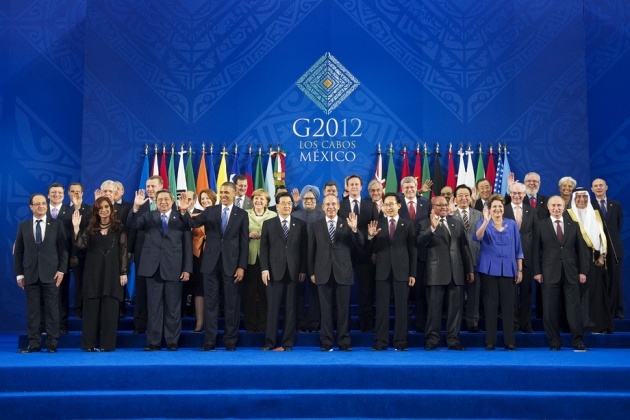 G-20 Photo Masks Less Success-More Failure? Eurozone Funding _ Merkel’s Continued Affair with Austerity? The IMF did increase its financial capacity up to $800 billion with new commitments from 12 of the G-20 participants. However, this may not be enough to address a Spain and/or Italy full-blown bailout. Further, it appears that Germany’s Angela Merkel is only moving at a crawl from her affair with austerity. Perhaps it is only a facade, but Merkel remains wedded to the old policies when change is required. It is more like farce than façade. Washington presses Moscow for more on Syria but is reluctant to lead with action or initiative beyond the already failed Annan plan and UN Observer Mission. In the end, the facade of statements proclaiming shared concerns serves to hide the unwillingness of most all to do more in Syria.